It is now confirmed that ultimate cycler is back with supper amazing features and high speed page load. Millions of Nigerians are finally relieved of the shock of loosing their money owing to the sudden closure of the website last week. Nigerians had since been on the watch and asking when will ultimate cycler be back. Ultimate Cycler, launched in 2013, with Peter Wolfing as CEO, had crashed creating panic among its investors. The website can now be accessed via a default login page: http://ultimatecycler.com/app/login.php, but the site is not yet 100% active. The CEO had this to say on the website: "At Ultimate Cycler we are introducing our global commitment over the next few days to provide each country we serve even greater value. As you know we are now having more than 100,000 to 200,000 thousand new members daily and have a large percentage of the new subscribers from Nigeria.Therefore we are doing the following ASAP over the next few days to ensure our global commitment will impact each and every Ultimate Cycler subscriber no matter where you live in the world. 1. We are adding an additional income source 2. Providing a new design and layout3. During Q1 registering Ultimate Cycler in Nigeria with an Office and legal presence. 4. Will offer life time admin fee to avoid different charges throughout the year.5. 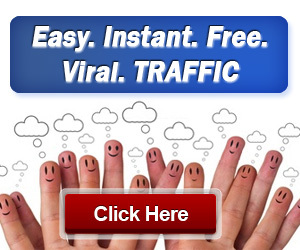 An amazing Christmas income opportunity the everyone can participate in." He also posted the following update: "1.2 Million members in 45 days! WOW!!! We expect MILLIONS of members in the coming months. For those that are members of UC, thank you for being patient. The Nigerian members have surprised everyone. We applaud your efforts. There have been rumours around that UC has crashed. This is not true. We decided it was best to take the server down to improve your experience and by investing in better server capacity. BIG DIFFERENCE. UltimateCycler.com will is now live in a limited capacity. We are only able to give access to log in but no new sign ups because the load on the system is too much on the existing phase 1 server. This will at least let the members know we are working on it and the system has not crashed. The phase 2 system is 90% done so we will be converted over to that as soon as possible We just need to test it. It will be ready in a few days. http://ultimatecycler.com/app/login.php Phase 1As you are aware, we took the server down late last week to prepare for the massive growth to come. The Phase 1 re-launch will be with the existing platform. Phase 2 The new upgraded system will be Phase 2 and will be launched in a few days. We will be launching Phase 2 with dual servers and a totally new site design. It is 90% complete. With the new system we will be offering an OPTIONAL one time $10 lifetime upgrade offer instead of paying $10 per upgrade per level. This can save you $50. For those that have upgraded already, we will be grandfathering you at the lifetime admin level. For those that want to upgrade now, you can do so and also be upgraded once we hit the new system. Once we launch the new server, the lifetime upgrade offer will only be for new members only so get it while you can! NOTE:1. Please do NOT tell people they can join, do nothing and get paid. While it is possible, it is unlikely because too many things have to happen for it to happen that way and it is not the way we want people to join. The admin system does NOT "pair" you with people to pay you out of thin air. It is based on a referral system and the efforts of the individual and their team. Just refer one who refers one and you get your $25 back. Build a team and teach them to duplicate and you make a profit. Simple. 2. DO NOT keep asking when the site will be fully ready as it only increases workload when our time could be better spent working on the site with our techs. 3. The purge function will be turned back on as well as the 48 hour payment rule once the new server is launched. 4. The Holiday Cash Contest is still active with $5500 in cash prized up for grabs. So "Grease Your Elbows" as they say in Nigeria! Please refer to the site home page and the back office for details and updates. The re-launch is going to be epic! Ultimate Cycler Support"